complaints and comments will be followed up on within a reasonable time. 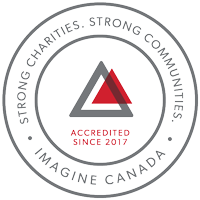 The Director of Marketing, Sales and Programs in conjunction with the Executive Director & CEO will be responsible for ensuring all staff and volunteers are aware of these guidelines. At The Manitoba Museum (the Museum) it is in the interest of all parties that complaints are dealt with promptly and resolved as quickly as possible. Review of complaints is fair, impartial and respectful to all parties. Complainants are advised of their options to escalate their complaint to a more senior staff person if they are dissatisfied with treatment or outcome. Complainants are provided clear and understandable reasons for decisions relating to complaints. Updates are provided to complainants during review processes. Complaints are used to assist in improving services, policies and procedures. A) A complaint may be received verbally (by phone or in person) or in writing (by mail, fax, email) to any person at the Museum. The person who initially receives the complaint should acknowledge to the complainant that the complaint has been received and will be acted on either by them self or another employee. (If a timeframe for action can be determined, that should be included in the acknowledgement. Basic contact information including name, phone number and email address should immediately be recorded for follow up.) See page 2 for an example of an immediate response message. B) If the person who received the complaint is not able to resolve it easily, or it is of a more serious nature, they must send or email it the Manager of Visitor Services and the Director of Marketing, Sales & Programs. Include any messaging or information on attempts to resolve the issue. C) Issues related to visitor services will be primarily responded to by the Manager of Visitor Services. Any complaints that entail personal complaints or issues that cross multiple departments will be primarily responded to by the Director of Marketing, Sales and Programs. The Director will follow up with appropriate parties to ensure a clear understanding of the issue is reached, and to ensure the proper messaging and follow up is deployed. D) When names and specific circumstances are mentioned in a complaint, every attempt will be made to keep these details confidential to the individual and their respective supervisor/manager/director and handled in a respectful manner. Every effort should be made to resolve complaints received in a timely fashion. When receiving a verbal complaint, staff should listen and seek to understand the complaint, and may attempt to resolve it immediately. Complaints received in writing should be acknowledged within 2 business days and staff should attempt to resolve the matter within 10 business days. If the Director cannot resolve the complaint, it will be escalated to the Executive Director & CEO (Executive Director). If the complaint is about the Executive Director, it will be handled by the Chair of Human Resources & Compensation Committee of the Board. Complainants should be kept informed of the status of their complaint. Every attempt should be made to resolve escalated complaints within an additional 10 business days so that all complaints are resolved within a month of having been received. Documenting the Complaint – It is necessary to keep a record of any complaint that involves a dispute over money as well as any complaint that cannot be resolved immediately (on the same day it is received). Information about such complaints must be recorded on the complaints tracking worksheet that will be kept confidential and managed by the Manager of Visitor Services and the Director of Marketing, Sales, and Programs. Information recorded on the worksheet includes a description of the complaint, the complainant’s contact information, who handled the complaint, what was done to resolve the complaint, timeframe, and a description of the resolution. A summary of the complaints received including number and type will be reported to the Museum’s Board of Governors’ Revenue Committee annually. How did you hear about The Manitoba Museum? Please get in touch with me regarding my inquiry.